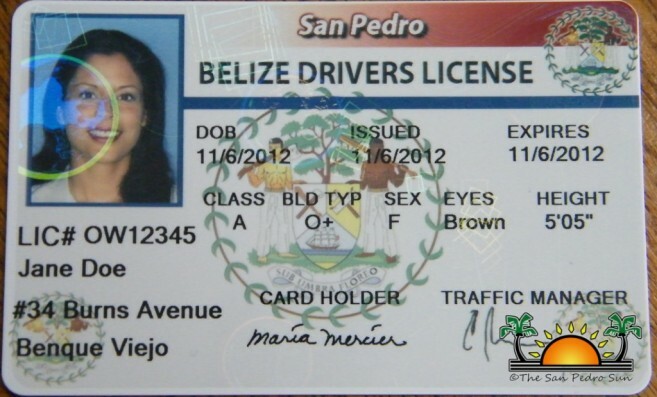 The San Pedro Town Council (SPTC) has issued a new look for driver licenses and learner’s permit. As of Tuesday April 9th, the SPTC will begin issuing a new PVC driver license card, which includes a protective holographic film layer to encase the information on the card. Of special note, the license now has a new feature: a blood type insert is included. This will aid doctors, nurses and police to quickly and easily identify a person’s blood type in case of emergencies that require a blood transfusion. According to Councilor Kenrick Bracket, whose portfolio includes Traffic, the new license and learner’s permit is more durable and authentic. While the previous driver’s license was a laminated type written card, this new digitally made license will now fit universal standards. 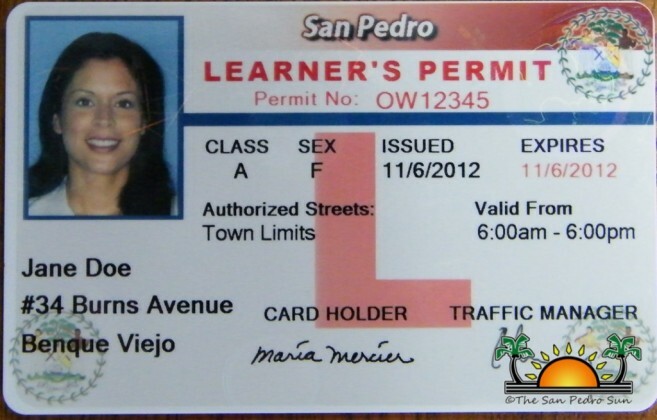 Residents can apply for the new license and learner’s permit at the San Pedro Town Council; application procedures remain the same. A three year limit is given for renewal. New fees are as follows: first issue is $60.00, renewal is $60.00 per year, endorsement is $40.00, duplicate or replacement is $40.00 and learner's permit is $40.00. License and learner’s permit are issued at the same time of application, which is a great convenience to the drivers. If you have any questions concerning the new license and learner’s permit, kindly contact The San Pedro Town Council at 226-2198.